Every step of our process is designed to produce a superior product. We partner with Fair Trade cooperatives from around the world to source the choicest coffee beans. Many of these cooperatives are also certified Rainforest, Shade Grown, or Bird Friendly plantations. 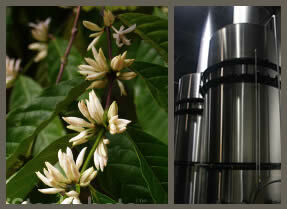 Next, we put the beans through our state-of-the-art traditional roaster and grinder. Our just-in-time delivery system assures the freshest, most flavorful coffee. We are currently the only roaster in the country using our particular, U.S.-made specialty roaster. We roast to “profile,” which means regardless of origin or moisture content of the bean, our roaster compensates for variations in composition to ensure consistency of product. Whereas conventional grinders heat up to the point that they scald the coffee and detrimentally affect its flavor, our grinder features water-cooled heads to maintain ambient temperature. This allows us to produce even the finest espresso grind without changing the integrity and flavor of the bean. Our packaging technology allows us the flexibility to handle large volume, short-runs and private labeling needs. Whether you decide to purchase our attractively designed Sun-branded packaging, or if you are looking to establish your own brand, we can assist you from concept to delivery. Great flavor doesn't last forever. Getting coffee at its peak freshness means getting it within 12 days of roasting. Our made-to-order process allows for deliveries that arrive within days of roasting. 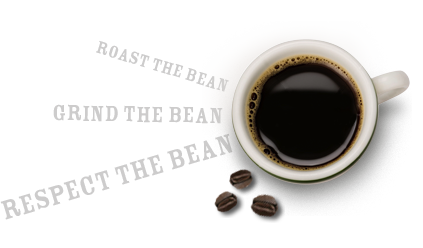 We work with you to develop a schedule that ensures you provide the freshest possible coffee to your customers. Our social and environmental stewardship isn't limited to supporting Sustainable and Fair Trade farming practices. Our specialized equipment uses far less electricity and natural gas than standard roasters, while our catalytic scrubbers ensure there are zero emissions from our roasting process. We recycle everything from our corrugated boxes and film to the burlap bags used to deliver our green coffee. The burlap bags are used by local student-run farms as weed barriers and for protecting plant roots from adverse weather. In addition, free-range chicken farms close to our plant use our chaff – a by-product of the roasting process – for mulching.